Feb. 15, 2011 - PRLog -- Earlier this week, AAA Parking proudly announced a three year contract renewal with Shore Club in Miami Beach. 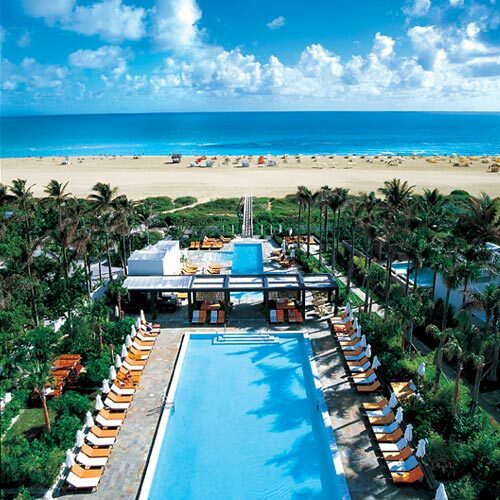 AAA Parking Vice President, Bryan DeCort is thrilled, “Shore Club is all about Miami South Beach style. Its fashion forward, relevant and thrives in a spectacular location at the epicenter of South Beach. We look forward to our continued relationship with Shore Club and Morgan’s Hotel Group”. AAA Parking also operates parking services for Mondrian Hotel, another Morgan’s property in Miami. Being a guest at the star-studded Shore Club delivers South Beach’s famous social scene, complete with Sunday pool parties, headlining acts at in the hotel’s Red Room and late night gatherings like none other. Shore Club is located in the heart of some of the most expensive real estate in the world and parking in this area is infamously difficult, unless, of course, you are a guest of this spectacular resort. AAA Parking provides round the clock valet services for this Morgan’s Hotel Group property. The vibrant atmosphere in Shore Club’s Art Deco lobby leads to a maze of gardens with secret passageways and private alcoves—all conspiring to create an atmosphere of unexpected encounters and close interaction. Elegant furnishings surround the original polished terrazzo lobby floor and throughout the common areas of the resort. The Shore Club’s guest rooms are refreshing and modern, with pops of vibrant color on mostly white and neutral palettes. A variety of bars are masterfully spread throughout the resort, providing guests little opportunity to go unquenched. And, discerning diners will appreciate Shore Club’s edible offerings, including Ago, which serves exquisitely prepared dishes in an elegant setting, as well as Nobu, Shore Club’s famous sushi bar. Both restaurants are open until 1 AM on Fridays and Saturdays to handle late-night noshers. If you’re in South Beach looking for a place to be seen—and park carefree—you’re looking for Shore Club. For more information on Shore Club, visit www.shoreclub.com or call 305-695-3100. Atlanta-based parking management company, serving hotels & resorts, hospitals, universities, stadiums, event facilities, and office buildings to more than 200 properties, as well as valet and self parking services for over 150 special events annually.